All orders are packed and shipped from our store in Oklahoma City. Shipping rates are calculated automatically depending on the product weight, destination and shipping class you select at checkout. Our standard shipping method is USPS. We offer First Class, Priority* and Express Mail, as well as international options. Most orders ship next day, unless otherwise noted in the product info for the item you’re ordering. US shipments are typically delivered in 2-7 business days, depending on the method you selected. International shipments usually take 2-3 weeks for delivery, depending on customs. Our ability to fulfill international orders online is limited at this time. If you don’t see your destination country listed as an option at checkout, please email us and we’ll be happy to help you out. *USPS Priority Mail now includes day-specific delivery times and tracking numbers, so it’s our recommended shipping option. To view the USPS Priority Mail delivery map and get an estimate for how long your USPS package will take to arrive, use 73102 as the origin zip code here. We accept the following methods of payment: Visa, Mastercard, Discover, American Express and PayPal. Your credit card will be charged at the time of your order and processed securely. At this time, Shop Good gift cards can’t be redeemed online. To shop with your gift card long-distance, please give us a call and we’ll help you place your order over the phone. Applicable sales tax will be collected from all Oklahoma customers at checkout. Creating an account allows you to save addresses and see your order history, as well as check on the status of any open orders. To ensure your privacy and security, we don’t save credit card information, even for account holders. You’ll receive an order confirmation immediately after placing your order, with a unique order number (beginning with WO). You can log in to your account at any time and by clicking on “My Account” at the top of the page, you can view your order history and the status of each order. To view details about a specific order, click on the order number. We’re happy to make changes to your order, as long as you contact us before it’s been shipped (which usually happens within 24 hours). Otherwise, we’ll just handle it through our simple returns process. If, for any reason, you’re not satisfied with your purchase, please contact us at help@shopgoodokc.com so that we can take care of you. Refunds can be issued for items that are returned in new condition with tags on, within 90 days of purchase. All other items can be returned for store credit or exchanged. Items not eligible for return or exchange: “Final Sale” clearance items, Shop Good gift cards and wholesale/custom orders. If you have questions or a special circumstance, please call or email us so we can take care of you personally. We’ll send you an email with instructions and a pre-paid shipping label (at no charge to you). Once your items have been received, your full refund will be processed using your original form of payment and should post within 5 business days. We’ll verify that the item you’d like us to ship instead is in stock and then send you an email with instructions and a pre-paid shipping label (at no charge to you). Once we’ve received your original purchase, we’ll ship your replacement item out immediately. If a balance is owed (due to a difference in price), we’ll call you for payment before shipping. If we owe you money, we’ll refund it to your original form of payment or to a Shop Good gift card right away. We’re happy to refund or exchange online purchases in store with your original packing slip or receipt, in accordance with our return policy. Thanks for visiting shopgoodokc.com. Shop Good provides this site as a service to its customers, and use of this site is subject to the following conditions. Your use of this site indicates your agreement to follow and be bound by these terms. Please read them carefully. Since Shop Good may revise this agreement at any time, it’s recommended that you visit this page periodically to review the terms of your use. If you have questions about any of our policies, please don’t hesitate to contact us. When you visit Shop Good or send e-mails to us, you are communicating with us electronically. You consent to receive communications from us electronically. We will communicate with you by e-mail or by posting notices on this site. You agree that all agreements, notices, disclosures and other communications that we provide to you electronically satisfy any legal requirement that such communications be in writing. This website is expressly owned and operated by Shop Good. All content included on this site, such as text, graphics, logos, button icons, images, audio clips, digital downloads, data compilations, and software, is the property of Shop Good or its content suppliers and protected by international copyright laws. The compilation of all content on this site is the exclusive property of Shop Good, with copyright authorship for this collection by Shop Good, and protected by international copyright laws. Shop Good’s trademarks and trade dress may not be used in connection with any product or service that is not Shop Good’s, in any manner that is likely to cause confusion among customers, or in any manner that disparages or discredits Shop Good. All other trademarks not owned by Shop Good or its subsidiaries that appear on this site are the property of their respective owners, who may or may not be affiliated with, connected to, or sponsored by Shop Good or its subsidiaries. Shop Good grants you a limited license to access and make personal use of this site and not to download (other than page caching) or modify it, or any portion of it, except with express written consent of Shop Good. This license does not include any resale or commercial use of this site or its contents: any collection and use of any product listings, descriptions, or prices: any derivative use of this site or its contents: any downloading or copying of account information for the benefit of another merchant: or any use of data mining, robots, or similar data gathering and extraction tools. This site or any portion of this site may not be reproduced, duplicated, copied, sold, resold, visited, or otherwise exploited for any commercial purpose without express written consent of Shop Good. You may not frame or utilize framing techniques to enclose any trademark, logo, or other proprietary information (including images, text, page layout, or form) of Shop Good and our associates without express written consent. You may not use any meta tags or any other "hidden text" utilizing Shop Goods name or trademarks without the express written consent of Shop Good. Any unauthorized use terminates the permission or license granted by Shop Good. You are granted a limited, revocable, and nonexclusive right to create a hyperlink to the home page of Shop Good so long as the link does not portray Shop Good, its associates, or their products or services in a false, misleading, derogatory, or otherwise offensive matter. You may not use any Shop Good logo or other proprietary graphic or trademark as part of the link without express written permission. If you use this site, you are responsible for maintaining the confidentiality of your account and password and for restricting access to your computer, and you agree to accept responsibility for all activities that occur under your account or password. If you are under 18, you may use our website only with involvement of a parent or guardian. Shop Good reserves the right to refuse service, terminate accounts, remove or edit content, or cancel orders at their sole discretion. Visitors may post reviews, comments, and other content: and submit suggestions, ideas, comments, questions, or other information, so long as the content is not illegal, obscene, threatening, defamatory, invasive of privacy, infringing of intellectual property rights, or otherwise injurious to third parties or objectionable and does not consist of or contain software viruses, political campaigning, commercial solicitation, chain letters, mass mailings, or any form of "spam." You may not use a false e-mail address, impersonate any person or entity, or otherwise mislead as to the origin of a card or other content. Shop Good reserves the right (but not the obligation) to remove or edit such content, but does not regularly review posted content. If you do post content or submit material, and unless we indicate otherwise, you grant Shop Good a nonexclusive, royalty-free, perpetual, irrevocable, and fully sublicensable right to use, reproduce, modify, adapt, publish, translate, create derivative works from, distribute, and display such content throughout the world in any media. You grant Shop Good and its associates and sublicensees the right to use the name that you submit in connection with such content, if they choose. You represent and warrant that you own or otherwise control all of the rights to the content that you post: that the content is accurate: that use of the content you supply does not violate this policy and will not cause injury to any person or entity: and that you will indemnify Shop Good or its associates for all claims resulting from content you supply. Shop Good has the right but not the obligation to monitor and edit or remove any activity or content. Shop Good takes no responsibility and assumes no liability for any content posted by you or any third party. All items purchased from Shop Good are made pursuant to a shipment contract. This basically means that the risk of loss and title for such items pass to you upon our delivery to the carrier. Shop Good and its associates attempt to be as accurate as possible. However, Shop Good does not warrant that product descriptions or other content of this site is accurate, complete, reliable, current, or error-free. If a product offered by Shop Good itself is not as described, your sole remedy is to return it in unused condition. In some cases, web merchandise may not be available in Shop Good’s brick and mortar store, and vice versa. 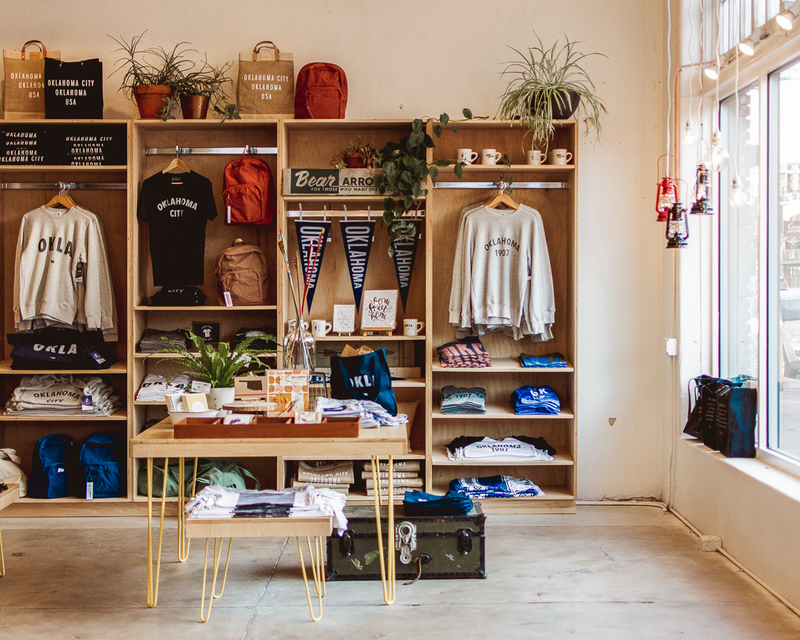 In addition, Shop Good’s website and physical location may have different prices or promotional events at different times. Sale prices on the website are Internet-only specials and do not reflect in-store pricing. In-store sale prices and promotions may not be reflected online, at the discretion of Shop Good. Prices displayed on the website are quoted in U.S. dollars and are applicable only in the United States and Canada. In the event a Shop Good product is listed at an incorrect price due to photographical error, typographical error or error in pricing information from our suppliers, Shop Good shall have the right to refuse or cancel any orders placed for product listed at the incorrect price. Shop Good shall have the right to refuse or cancel any such orders whether or not the order has been confirmed and your credit card charged. If your credit card has already been charged for the purchase and your order is cancelled, Shop Good shall issue a credit to your credit card account in the amount of the incorrect price. Many of our items are offered in limited quantities and, because of their limited availability, stock will not and cannot be refreshed, meaning once it’s gone, it will not appear on the website again. When an item is no longer in stock, we make every attempt to remove that item from the website in a timely manner. Should you have any questions concerning the availability of a particular item, please contact us. This site is provided by Shop Good on an “as is” and “as available” basis. Shop Good makes no representations or warranties of any kind, express or implied, as to the operation of this site or the information, content, materials, or products included on this site. You expressly agree that your use of this site is at your sole risk. To the full extent permissible by applicable law, Shop Good disclaims all warranties, express or implied, including, but not limited to, implied warranties of merchantability and fitness for a particular purpose. Shop Good does not warrant that this site, its servers, or e-mail sent from Shop Good are free of viruses or other harmful components. Shop Good will not be liable for any damages of any kind arising from the use of this site, including, but not limited to, direct, indirect, incidental, punitive, and consequential damages. Certain state laws do not allow limitations on implied warranties or the exclusion or limitation of certain damages. If these laws apply to you, some or all of the above disclaimers, exclusions, or limitations may not apply to you, and you might have additional rights. By visiting Shop Good, you agree that the laws of the state of Oklahoma, without regard to principles of conflict of laws, will govern these Terms and Conditions and any dispute of any sort that might arise between you and Shop Good. Any dispute relating in any way to your visit to Shop Good or to products you purchase through Shop Good shall be submitted to confidential arbitration in Oklahoma, except that, to the extent you have in any manner violated or threatened to violate Shop Good’s intellectual property rights, Shop Good may seek injunctive or other appropriate relief in any state or federal court in the state of Oklahoma, and you consent to exclusive jurisdiction and venue in such courts. Arbitration under this agreement shall be conducted under the rules then prevailing of the American Arbitration Association. The arbitrators award shall be binding and may be entered as a judgment in any court of competent jurisdiction. To the fullest extent permitted by applicable law, no arbitration under this Agreement shall be joined to an arbitration involving any other party subject to this Agreement, whether through class arbitration proceedings or otherwise. Please review our other policies, such as our Shipping and Returns policies, posted on this site. These policies also govern your visit to Shop Good. We reserve the right to make changes to our site, policies, and these Terms and Conditions at any time. If any of these conditions shall be deemed invalid, void, or for any reason unenforceable, that condition shall be deemed severable and shall not affect the validity and enforceability of any remaining condition. We are the sole owners of the information collected on this site. We only have access to and collect information that you voluntarily give us via email or other direct contact from you, for instance, when you create an account or place an order. We will not sell or rent this information to anyone. While we use encryption to protect sensitive information transmitted online, we also protect your information offline. Only employees who need the information to perform a specific job (for example, billing or customer service) are granted access to personally identifiable information. The computers in which we store personally identifiable information are kept in a secure environment. We do not store any financial information you provide us (such as credit card data).